Leading up to Christmas, I had been wanting to get my gift wrapping essentials in order and under control. They were all thrown into our “junk room” and were in complete disarray. I would have loved to have a dedicated space in the house for gift wrapping, but I knew it probably wasn’t feasible, nor the smartest use of space since most of my gift wrapping happens in the last three months of the year. 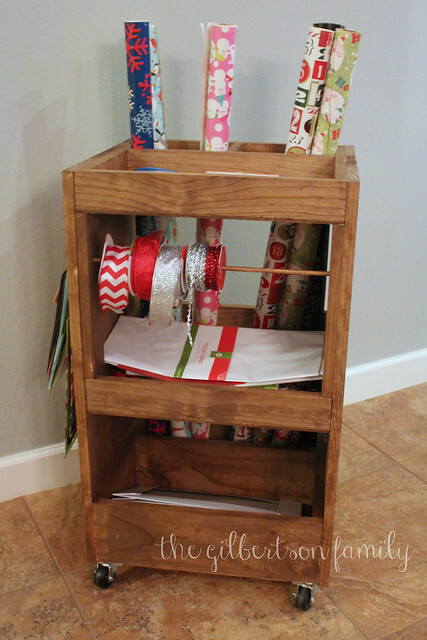 The inspiration for the gift wrap cart came from Pinterest, of course, and Ana White. 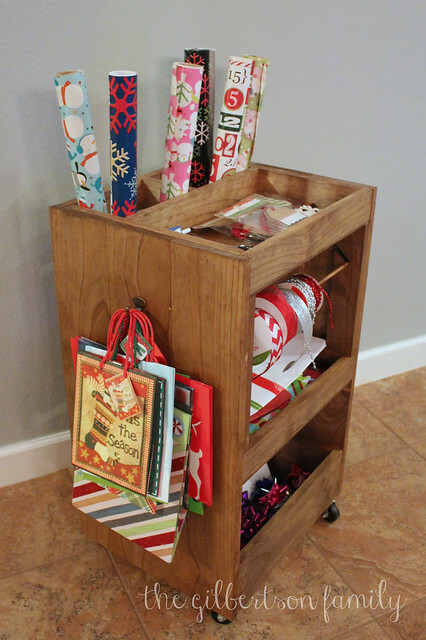 I also found a similar cart sold at Crate & Barrel this season! Greg had the day off on Friday, so he got to work on this project for me. He says that his way of relaxing and enjoying a day to himself is by building things in the peace and quiet, so I take full advantage of this! He followed the supplies list and instructions from Ana White and put it all together without any problems. Since he put it together, he has thought of some things that he would have done differently in the process. The top tray holds my scissors, tape, pen, and gift tags. 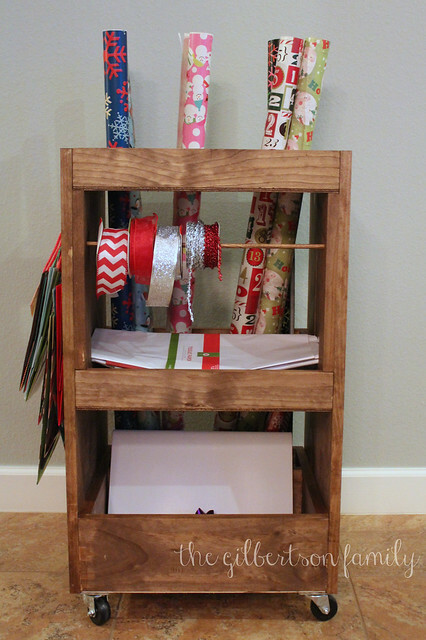 The middle shelf holds the smaller gift bags, as well as tissue paper; and the bottom shelf has boxes and bows. Eventually, I may have him put another hook on the opposite side if I keep acquiring more gift bags. 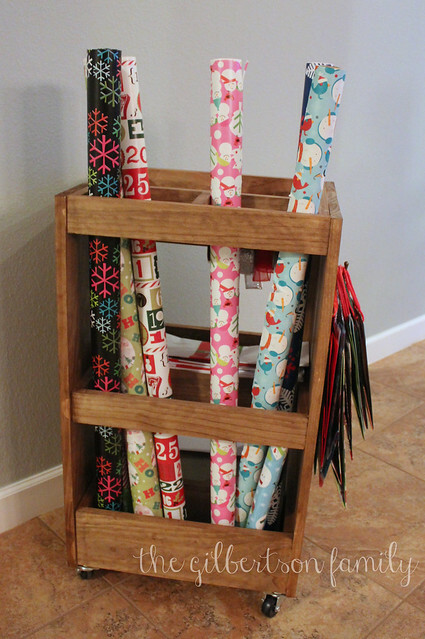 I plan to keep the cart in our office, so I can swap out the holiday gift wrap for birthday and seasonal gift wrap during the year and have everything at my fingertips if I need it. You know how much I love organization, so now that this area is organized, I am thrilled! This really appeals to my type A personality. I love it! This is amazing! Good work, Greg!